This edition of ‘Your Voice at the United Nations’ includes articles relating to Human Rights history and frameworks, and the 1st World Summit on Leaving No-One Behind. This year is the 70th anniversary of the United Nations Universal Declaration of Human Rights. When Thomas Jefferson declared in 1776, that people “are endowed by their creator with unalienable rights”, this was still a novel idea. Never the less the language of human rights has been around for so long that we often take it for granted. The Human Rights Declaration set up the tone where “we are all equal in dignity and rights” (Universal Declaration of Human Rights). Additionally, it called upon the need to pay special attention to children – “children are entitled to special care and assistance”. Furthermore, The Office of High Commissioner for Human Rights’ (OHCHR) Convention on the Rights of the Child ratified the “special safeguards and care for the child, including appropriate legal protection, before as well as after birth”. Girls are often disproportionally affected when human rights are denied, girls continue to be the largest excluded group in the world and too often girls are falling between the dominant agendas of women’s and children’s rights. To what extent does the human rights treaties responds to the girl child and adolescent girls? In which way do the policies and mechanisms respond to their physical, mental and biologically specific needs? How can policymakers and advocates strengthen the focus on the rights of girls? 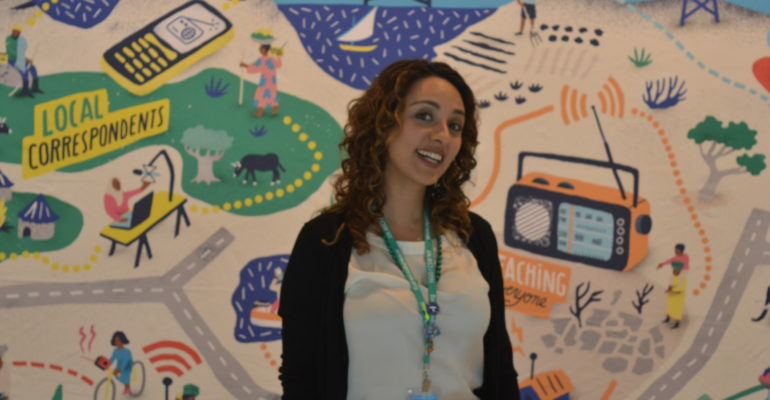 To address these questions the Working Group on Girls (WGG) hosted a panel discussion in New York to overview international global policies that integrate girls’ perspective in the work of the Human Rights Arena. OHCHR officer Mr. Christian Courtis and the UN Victims’ Rights Advocate Ms. Jane Connors were invited to be a part of the panel with SI UN Representative in New York, Vansea Treers as a panel moderator. Although international law safeguards the rights of all human beings, very few provisions in human rights treaties mention or attribute rights to girls specifically, the Convention on the Elimination of all forms of Discrimination against Women (CEDAW) explicitly refers to girls only once in Article 10 on the right to education. Mr. Courtis added that CEDAW and the Convention on the Rights of Child are the two main treaties to address girl’s human rights and there is a need to pair these two legally binding conventions to create a framework for girls. For Ms. Connors girls’ rights are more and more becoming a focus and she pointed out the importance of Beijing Platform for Action. The UN Sustainable Development Goal 5 has set up more progressive language and attention to girls in its title ‘Achieve Gender Equality and Empower All Women and Girls’. The 2030 Agenda in its preamble called for “A world in which every woman and girl enjoys full gender equality and all legal, social and economic barriers to their empowerment have been removed” and that “all forms of discrimination and violence against women and girls will be eliminated”. Although the 2030 Agenda and its Goal 5 for Gender Equality are not yet legally binding treaties, they set up an aspirational framework that requires political and financial will, at the local and national levels, to be implemented. The 2030 Agenda sets out to ensure that national agendas are sensitive to girls’ needs and enforces the protection of girls against child marriage, trafficking, female genital mutilation, and gender discrimination. Gender-neutral and age-neutral approaches have shaped international law-making, shifting attention away from only girls. The 2030 Agenda offers a more systematic integration of gender analysis, with specific references to girls among some of the goals. Language is important and so is the design of policies that are inclusive to all. 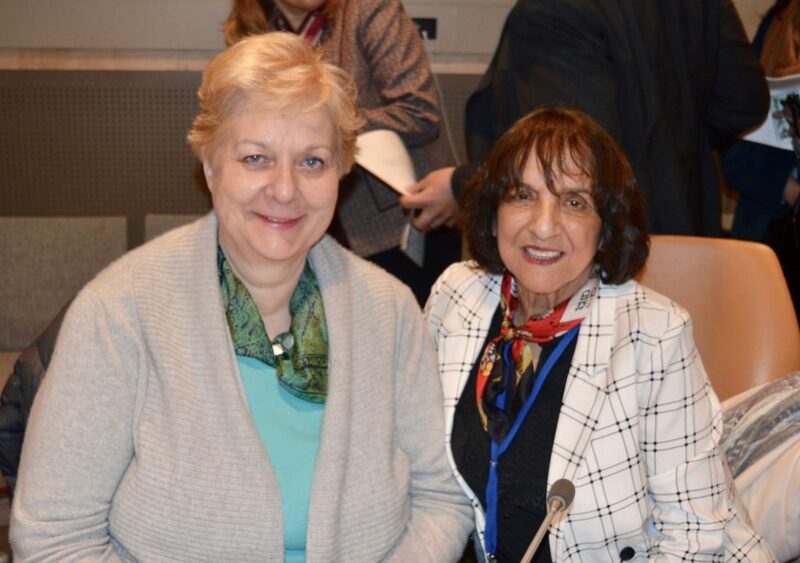 Soroptimist International United Nations Representative, Dr. Martina Gredler, moderated a panel on December 10, to celebrate the 75th Anniversary of the Declaration of Human Rights. United Nations Representatives, Christeen Peer, and Marion Prechtl were also present. Soroptimist, Ulrike Anton, performed a musical tribute. “The United Nations (UN) was established in 1945. Three years later, in 1948, the newly formed UN would provide the platform for the drafting of the Universal Declaration of Human Rights. Many consider the declaration to be the foundation of international human rights law and consider it a milestone document that declares that fundamental human rights must be universally protected. It has inspired more than 80 international conventions and treaties, as well as numerous regional conventions and domestic laws. It has been the catalyst for improving human rights protections for groups such as disabled people, indigenous peoples, and women. Human rights are integral to the daily lives of every person on the planet; securing human rights is also a key pillar of the work of the United Nations and essential to achieving peace and progress. The 46th session of the United Nations Industrial Development Organisation (UNIDO), 26-28 November, Vienna International Center. SI UN Representative in Vienna, Marion Prechtl attended the Side Event on Programme for Country Partnership (PCP). * the facilitation of public and private investment. There are six countries that are members of this program; Ethiopia, Kyrgyzstan, Senegal, Peru, Cambodia, and Morocco. Each country presented its achievements due to the program. The major aim is to create employment in mixed industrial centers and to reduce poverty in these areas. They build centers of excellence, in which government and private investors are jointly involved. Jobs are created for the good of the population, by building taskforces to discover synergies of the market, to enforce the international commerce of these countries by combining different industrial sectors and to invest in the infrastructure. The first Industrial Centre was open in autumn 2018 in Senegal. 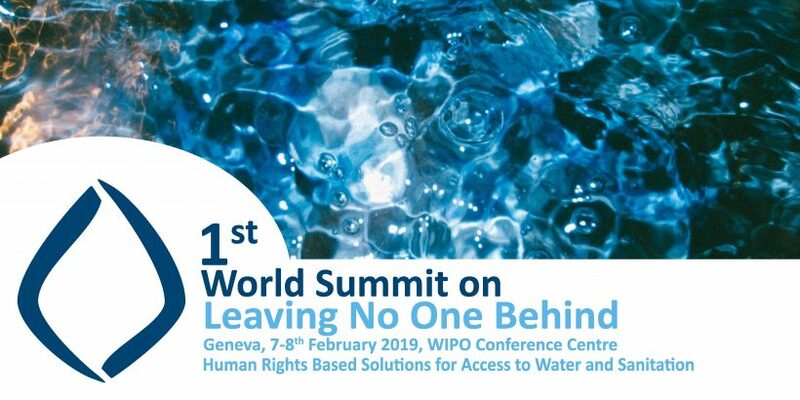 As an SI rep at the UN center of Geneva, Kristín Reynisdóttir observed the 1st World Summit on Leaving No One Behind – Human Rights-Based Solutions for Access to Water and Sanitation. The aim is to hold one, each year until 2030. The focus of this Summit is on finding and implementing workable solutions with support from sponsors. The participants were the finalists of Flagship projects and Exploration projects. One of the participation criteria was to respect Human Rights. The first day was on “Flagship Projects” that had already had a pilot study. The presenters of all 6 projects were enthusiastic and considered it a victory to get the chance to present their project. But only one of them would get the prize. The following day, there was a presentation of 14 finalists of exploration projects on six themes. The themes were Women, Indigenous Peoples, Refugees and Migrants, Youth, and Climate Change & Rural Areas. All were human rights-based approaches, such as community-managed rainwater harvesting, community-driven solutions in partnership with local government, and sanitation solutions for disabled children. The summit started with welcome and introduction remarks about the lack of implementation of Human Rights to water. About how bad the situation is among the most vulnerable population like refugees, indigenous people, and women. The water situation is catastrophic in some of the refugee camps; 5 liters of water per person for all water use (cleaning, cooking, and drinking) and up to twenty-five families having to share the same toilet. Then came the Opening statement from Michael Moller (Director-General, United Nations Office). Next year, the UN-Water theme will be on Climate Change, and the planning has already begun for a 2nd World Summit on Leaving No One Behind, in the context of climate change.